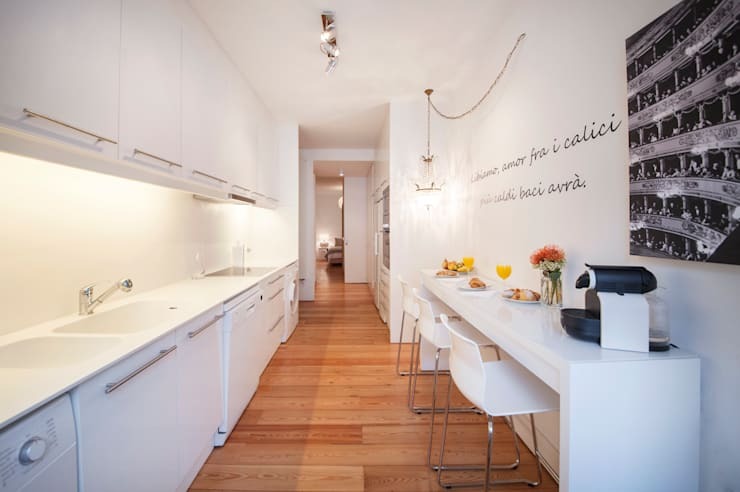 A kitchen without a seating area may not be a truly practical choice, especially when your home is also small. In this homify feature, we look at 10 simple yet original bar seating options for your kitchen, guaranteed to make your kitchen look a lot more stylish and sophisticated. So whether the style of your kitchen is classic and rustic or modern and elegant, there is a sensational seating option for you. When your entire living, dining and cooking area is located in one spot of the house, you may want to rethink adding a separate dining room table as this will add more furniture to an already tight space. Bar seating is a great way to bring the dining table to your kitchen, for a light hearted and comfortable setting that is chic. Never miss out on dinner conversation again because you’re too busy in the kitchen. This is a practical way to add seating to that outdoor barbecue area. 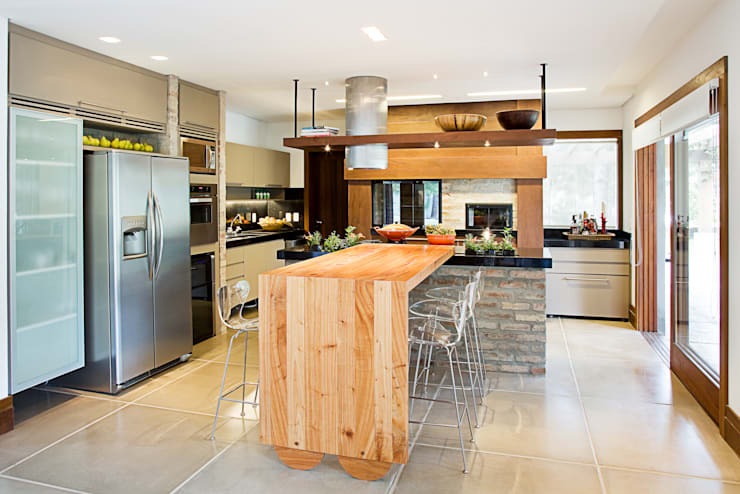 Use the counter and seating space to serve informal meals or just enjoy polite conversation while the grill is on. This is definitely a fantastic décor choice for any home. The cantilever bar is a great choice to add space to a minimalist décor. It adds character without looking too overcrowded, now that’s definitely simple and stylish. 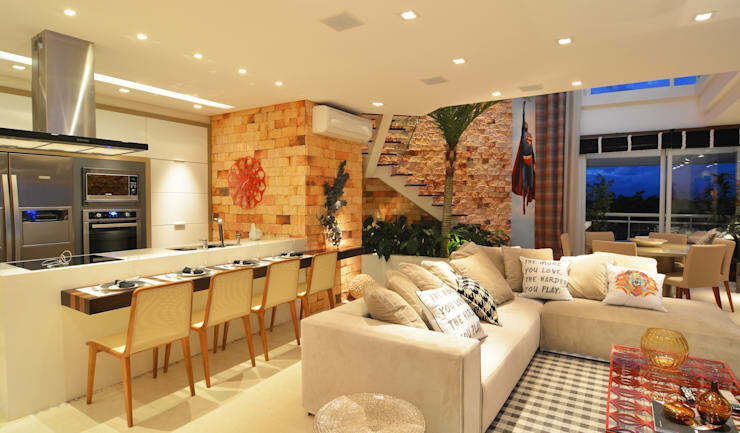 The interior designers opted for a combination of rustic and traditional style with chic modern features to create a home that is stylish and attractive. The gorgeous lighting adds a sultry effect on the kitchen, making it even more appealing. Although this kitchen may be inspired by some rustic elements of style, it’s actually an attractive and eye-catching design, with plenty of storage – a basic must have in any kitchen. Sometimes all you need is some colourful charm to showcase a stylish kitchen that is filled with chic style and comfortable elements. 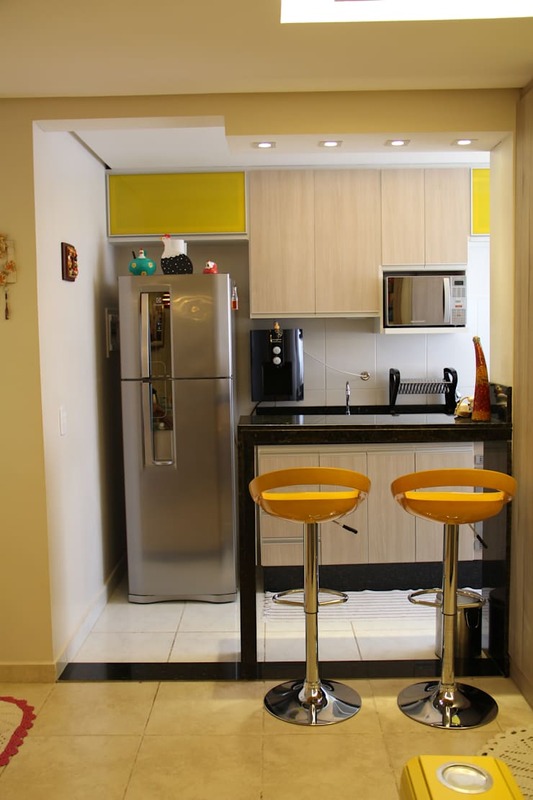 These two bright yellow bar stools perfectly match the small yet minimalist kitchen décor, creating an interesting contrast too. 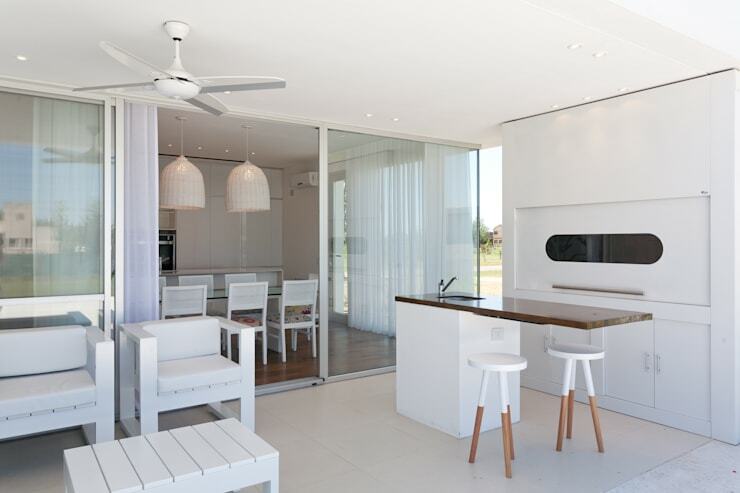 An all-white kitchen is the epitome of style, elegance and luxury. And it’s a décor choice that will remain trendy and tasteful for years to come. 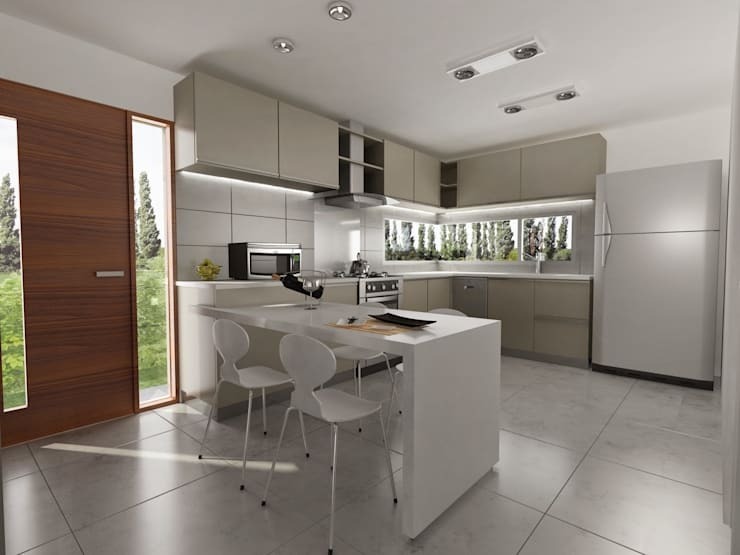 By incorporating an informal bar area into this kitchen, the eating space problem is solved, while also making use of the length of this design. This bar choice in the kitchen is functional, stylish and sophisticated. And while the colour choice is a minimalist grey, the usable four chaired bar area is great for an informal dinner or grabbing a quick breakfast before work. This kitchen has incorporated some bar seating. 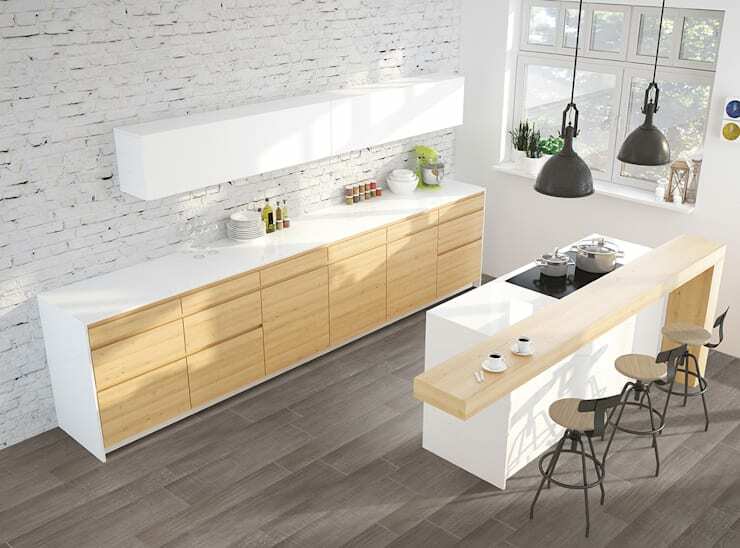 It’s attractive and cool, with a minimalist attitude that works perfectly with the dark wooden flooring and all-white cabinets. 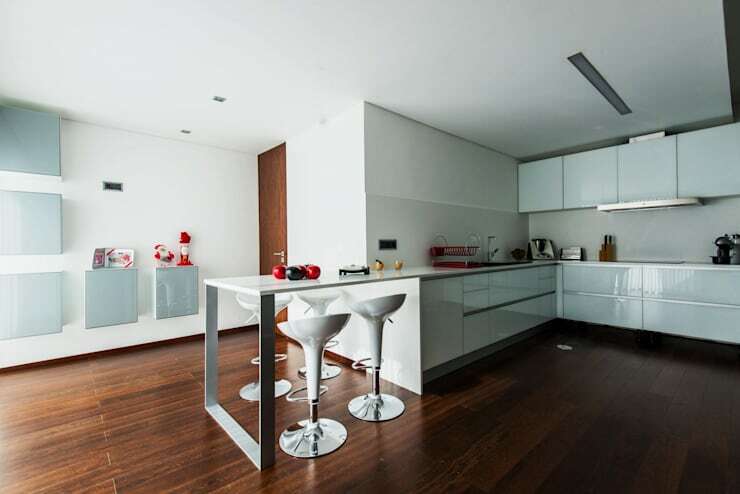 The four bar stools creates a simple eating area too. 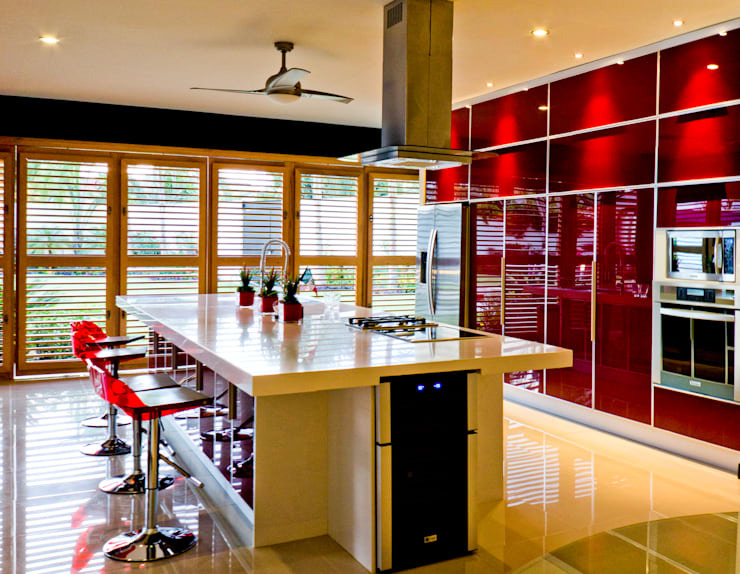 This red kitchen is a gorgeous choice for a home that loves to make a statement. The countertop serves as a dining area, cooking space and even worktop, while the glossy red kitchen cabinets are a dramatic yet luxurious feature that makes the kitchen so much more spectacular. 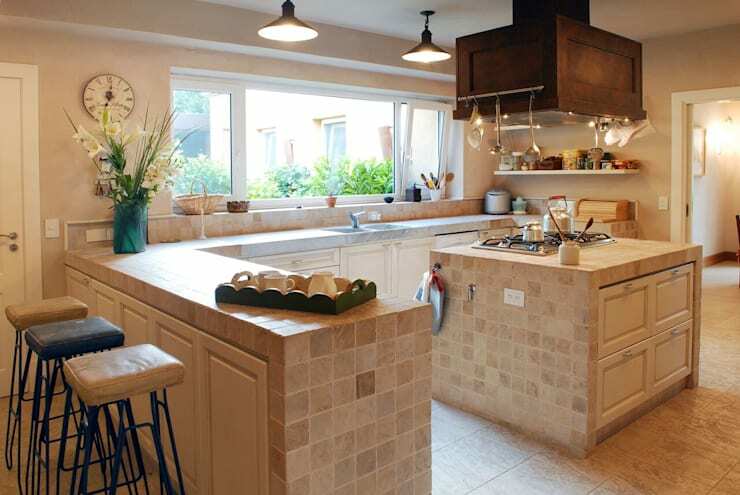 Here are: 7 affordable and fantastic kitchen renovation ideas. Do you have a favourite bar seating design?